LONDON, Sporting Alert – Manchester United finally walked out of the Sir Alex Ferguson shadows after winning their first trophy since the Scot retired from Old Trafford. 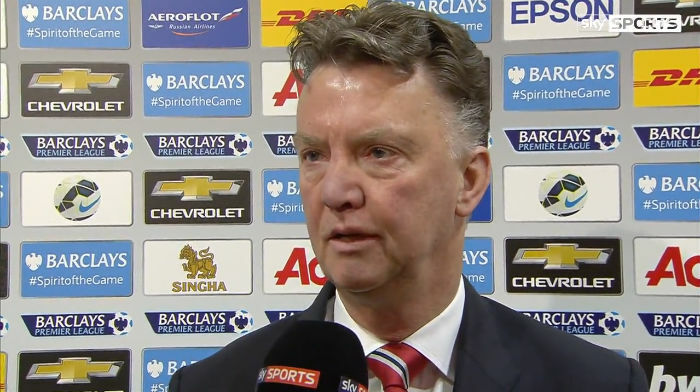 “[Winning the Cup means]A lot because that was my aim,” winning boss Louis van Gaal said. “My aim was the experience of English football, English culture and to bring a title to Manchester United in spite of the transition that we have to make. The Red Devils came from behind to beat Crystal Palace 2-1 in the FA Cup final on Saturday – a contest that went to extra time at Wembley Stadium. The English Premier League giants were lifting the FA Cup trophy for the 12th time. “We were 1-0 down with 15 minutes to go and still we have to believe until the end,” Van Gaal said. “We showed your MUTV film to the players [before the match]. I said we fight until the end, against the odds, never giving up. Super-sub Jesse Lingard netted the winner in the 109th minute of play to hand Van Gaal is first piece of silverware since taking over two seasons ago. Before that, substitute Jason Puncheon gave Crystal Palace the lead with an impressive volley finish in the second half, before Juan Mata found the equalizer for Manchester United minutes later. Defender Chris Smalling was also sent off for picking up a second bookable offence late in the game, as United finished with 10-men.